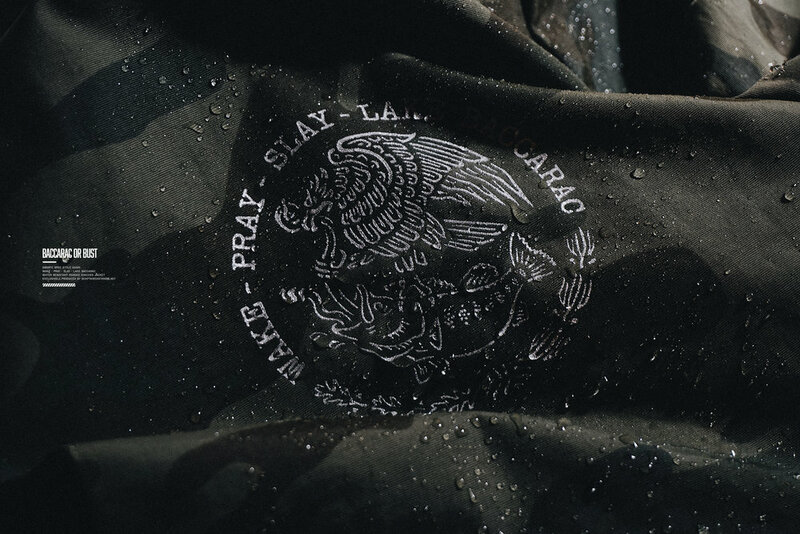 Mystery man and friend of the brand, @captaincastandblast just released a very limited water resistant hooded coaches jacket with a REFLECTIVE graphic PRINT flip of Mexico’s coat of arms. The eagle and bass fighting over a rattlesnake is a nod to Mexico’s trophy bass fishing haven, Lake Baccarac which is Captain’s all-time favorite fishery. “I wanted to create a quality jacket and the graphic identity for upcoming group trips I have planned to Baccarac.” @capataincastandblast told SBSRFC.